School visits are available for the 2018-19 year starting September 2018. Free tours of one of our schools are available on a limited basis. At the High Schools (Da Vinci Communications , Da Vinci Design, and Da Vinci Science) 30-45 minute student led tours are available Mondays and Wednesdays at 9:15, and Tuesdays or Thursdays at 1:15. One week notice is required. 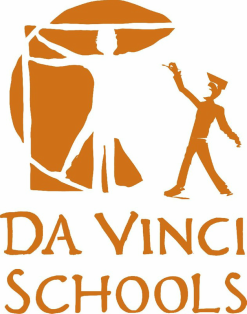 At Da Vinci Connect, our home school/at school hybrid K-8 school, free tours are available the second and fourth week of every month on Tuesday’s & Friday’s at 1:15. One week notice is required. Extended, half day customized workshops are available in the afternoons, from 12:30-4, at a cost of $150 per participant, 2 week notice required. Please use the form below to inquire about student led tours and professional development opportunities or click here.